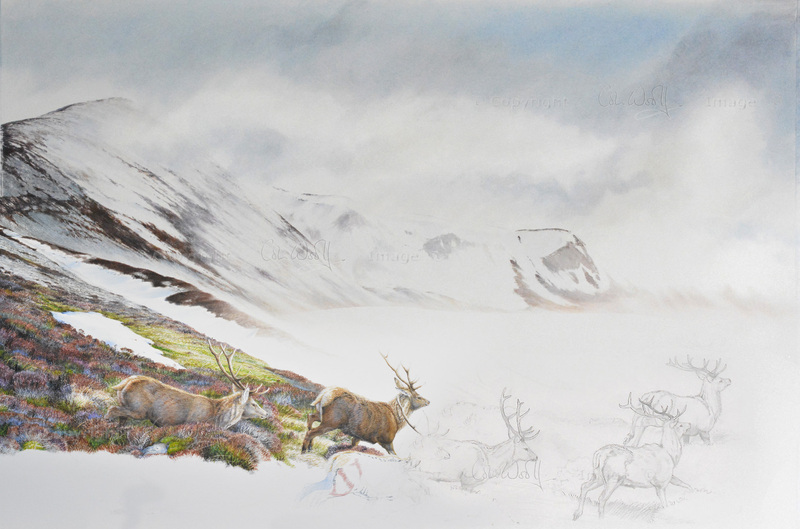 Colin has started 2016 with a big project… a new painting of some red deer making their way across a wintry mountain landscape. This is going to be a large picture, with plenty of depth and drama. Here it is in progress! 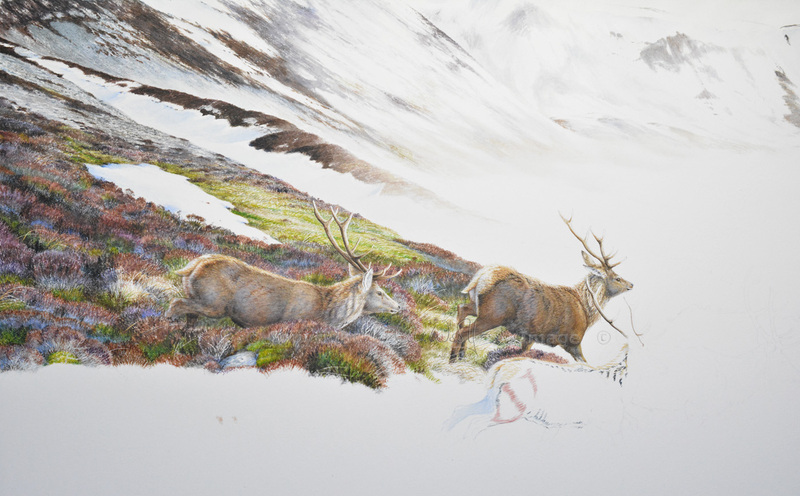 There’s plenty more to do – acres of heather, he says! You can watch for updates on Colin’s Facebook page if you like. Can’t wait to see the finished painting. Thank you, Cornel! It’s coming along very well. I can’t wait, either! That will be wonderful. They are such magnificent creatures! Very true – there’s nothing to compare with them, in this country anyway. It’s going to be about two and a half feet wide by about two high. Yes, looking good – thank you! Truly beautiful. 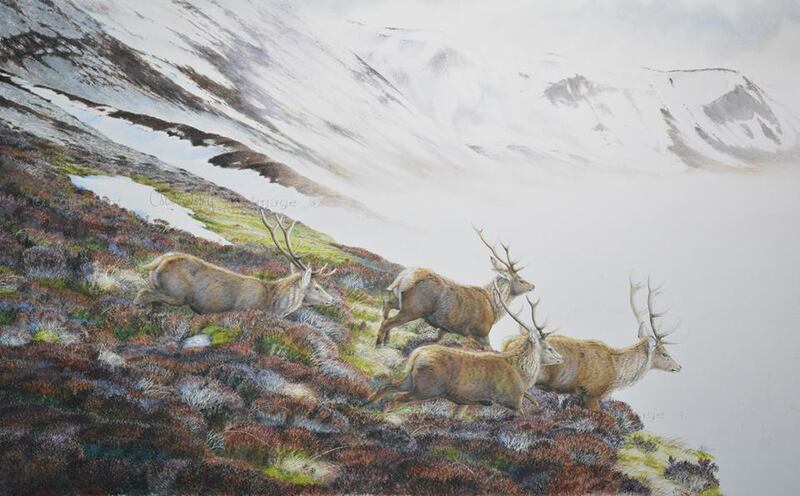 I pity anyone who has never seen a red deer. Colin is doing everyone a favour with his work. Thanks to the both of you for sharing these images. We’re very lucky to have seen so many deer on our travels. It’s a real thrill when you suddenly spot a big herd of them up on a mountainside. 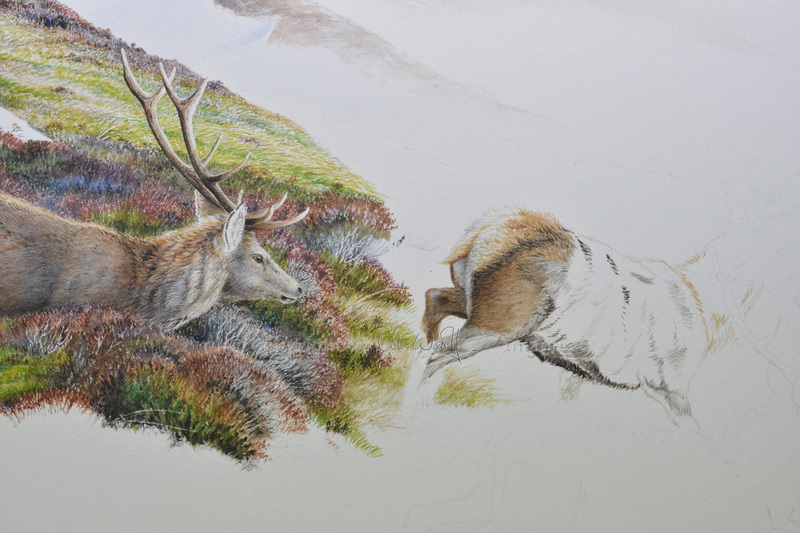 Thanks for your kind words – Colin is really enjoying working on this. I know, Lynne! 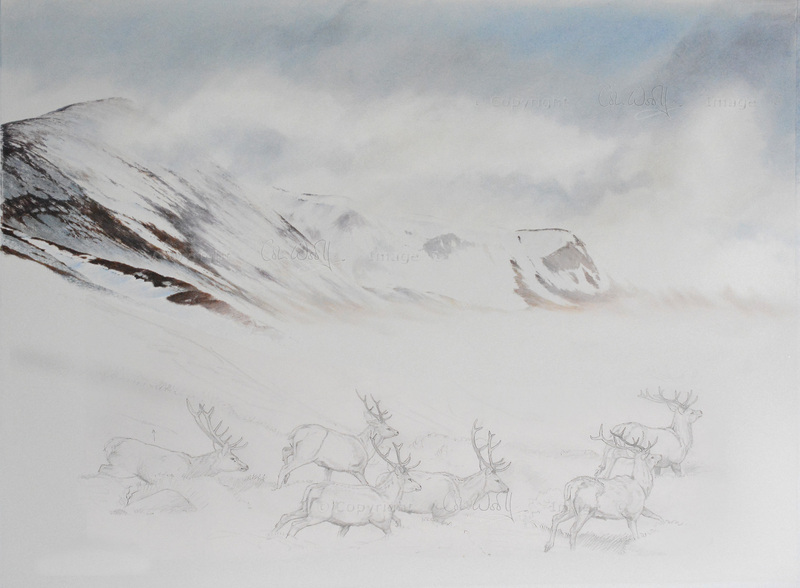 It’s always so nice to see Colin’s paintings develop.